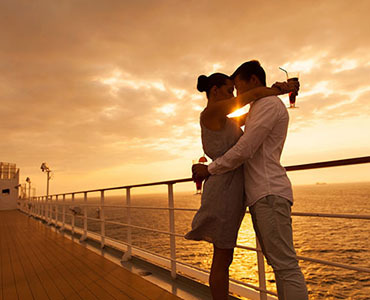 I had planned my honeymoon to Goa through Sandesh Tours and Travels. I am delighted to have such amazing services at better quotes than competitors. Super excellent services from Sandesh Tours and Travels one of the best car rentals in bangalore, Special thanks to Sandesh and his team! Firstly a big thanks to Sandesh Travels who arranged everything so well. The entire tour was so well organized keeping every detail in mind. Their personal update and follow up on the tour what makes the best. The most trusted, personalized service and budget friendly. If you looking for best car rentals in Bangalore, my personal recommendation to Sandesh Tours and travels. 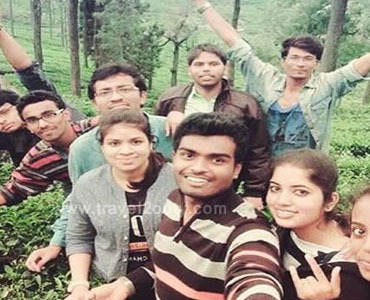 Good hospitality and support throughout the trip to Kerala tour were well organized by Sandesh Tours and Travels, best Car Hire Services in Bangalore. Hotels provided was also very good & hygienic. Everything was as per the commitment. Food Quality was good. The driver was also very friendly. Overall Excellent Experience. Thank You, Sandesh Travels for such a memorable trip. This is my first tour with Sandesh Tours and Travels and so far I am thrilled with the ease of the booking process and the warm family vibe of staff. 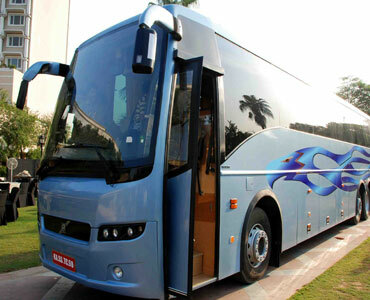 They are really best tour operators in bangalore. This could be the start of a whole new way of travel for me and my family. Welcome to Sandesh Tours and Travels extensive Best Car Rental in Bangalore. We will help you make your trip as cheap as possible, so you are sure to hit the road smiling, Sit back, relax, and enjoy the ride with Sandesh Travels. We are always at your service, Come Travel with us. Your journey is important to us.we are providing weekend package tours for your family and friends, corporate tours and popular tours packages in and out of Bangalore to enjoy your holidays nice, we exactly know what is your need. It is that simple. Our passenger safety is the first priority, so all our drivers are fully trained, reviewed, and licensed. We are known to be the Safest and Most Trusted car rental in Bangalore, Providing all Sorts of Luxury and Executive cars with top-notch Drivers well decked to Furnish. 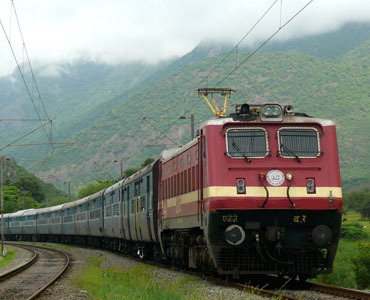 We also provide Interstate Travel services from Bangalore at affordable rates. Each service has the best rate and offers a variety of pick-up and drop-off options to make your travel easier. we are committed to offering well-preserve Cab Services in Bangalore for outstation and the best travel experience through our polite drivers and time bound services. The safety of our customers is our biggest concern and we always make sure that our drivers are dependable, skillful and well behaved. All our drivers are thoroughly verified on their background previous to their appointment. You can trust the Driver for best quality outstation cab services and we assure you complete satisfaction. At Sandesh Tours and Travels, our goal is to offers you the best price to suit our customer's needs. It has never been easier to find a car rental in Bangalore. We provide you best prices and up-to-date information, ensuring quality and efficiency for all our visitors, at all times. Book your journey today and enjoy your holiday, or get anywhere in time for your business meetings. we understand that traveling can be a hassle if you are not well planned, which is why we provide a variety of car types to compare and choose from for all types of travelers. The most acceptable option to explore the beautiful places/tourist locations in Bangalore and nearby places is by car hire services in Bangalore, It saves your precious time and gives you sufficient flexibility. 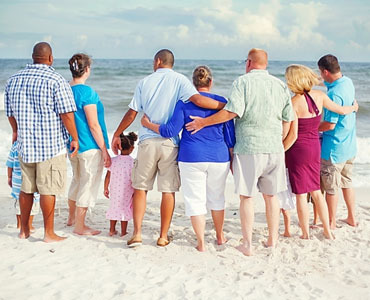 You can also rent a car in Bangalore and enjoy an enhance day trip with your friends and family. Sandesh Tours and Travels is a Bangalore based car hire service that provides car on rent in Bangalore and its surroundings. Our service is spread all over Bangalore and we also provide pick and drop facility from Bangalore airport. Bangalore has a long list of splendid places to visit and people usually choose to rent a cab in Bangalore for a pleasant and hassle-free travel experience. Keeping mind the size of your family and luggage we have a good variety of cars with us. Hire a car in Bangalore made easy with Sandesh Tours and Travels. We offer a huge range of best car hire services in Bangalore,Whether you need a family-sized car rental in Bangalore or something compact and economical for you are renting a car in Bangalore, you are sure to find the right hire car deal for you with Sandesh Travels. Hire a car with Sandesh Tours and Travels is tailored to fit around you. Our holiday car hire packages offer flexible pick-up and drop-off options. You’ll get convenience alongside some of the cheapest car hire deals with us. We perceive your needs to rent a car may differ. That's why we have a range of car rental solutions available with us. if you want the best premium car hire deals, choose Sandesh Travels. Over the past 10 years, we have earned a reputation as the Best Tour Operators in Bangalore. As you read the testimonials on our website, you will see why thousands of travelers choose Sandesh Tours and Travel again and again. We at Sandesh Tours and Travels pride ourselves in providing first-class services, professional tour managers, authentic Indian meals and itineraries that appeal to everyone. We offer the best tours packages in Bangalore that are comprehensive in coverage at a price to suit all travelers without compromising on quality and services. Our hospitable approach to families, groups, and communities has helped us to maintain our position as the first choice for thousands of people across the nation. We believe that tour should be fun and that our guests should be well-versed in the history and aspects of culture, whilst they explore the world. Our tours are designed for travelers’ to enjoy a diverse array of fascinating tour packages. Sandesh Tours and Travels was very professional and advised best car rental service in Bangalore to visit best places in and around Bangalore and more importantly manage travel time, Courteous drivers and better price than competitors. However, driving car rental services in Bangalore from Sandesh travels, help you save up some money that you should have incurred. With a car rental in Bangalore you are free to explore all the top travel destinations.No matter what your travel itinerary requires, Sandesh Tours and Travels delivers best car rental service provider in Bangalore to offer clients with the best rates and best customer service. Planning and booking ahead will lock you in with a better price. The cost of travel will also vary between locations and depend on the type of car you want to rent and its availability. 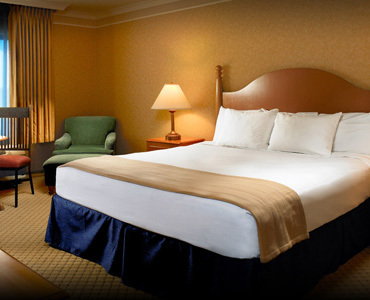 Whether you are touring the sights on holiday, rushing away for the weekend or organizing a business trip, Contact us. Every time, a customer asks for bigger cabs that can accommodate their large families or friends. 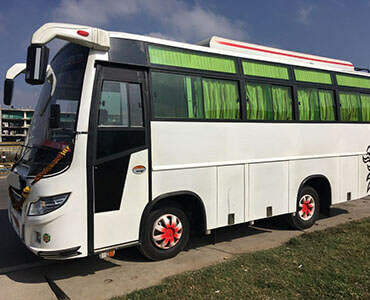 We have considered this request seriously and have associated with the best-in-class chauffeurs of Tempo Traveller cabs to stay away for our promise of quality. For all of you who trust that more is undoubtedly merrier. 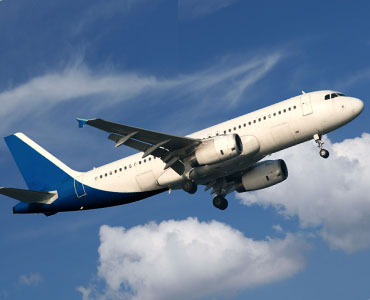 Sandesh travels is the best tempo travel rental in Bangalore. If you have a road trip need, Sandesh travels chauffeur driven cab services will meet all your requirements. If you go for a holiday trip means you have two options available for transportation – book a private cab or public transport vehicle. If you want to go for outstation with your family, we never suggest recommend you for public transport because it can make your vacation worst because it is not comfortable for a family. So you have to book a personal vehicle for your sightseeing trip. 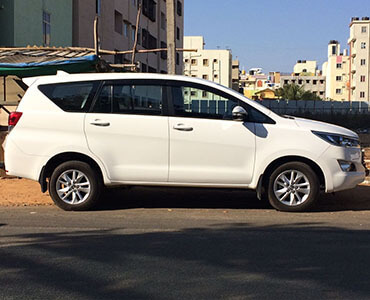 we provide Toyota Innova car rentals in Bangalore to outstation tour package for a group of family. You can easily go and visit anywhere to hire our cab with the hassle-free journey. So we recommend you that you should check customer’s feedback of the company and after it, you should talk with our representatives. Planning a weekend or vacation getaway? Our outstation cab services will help you tour the best destinations, you visit all the must-see places and taste the best local foods. Sandesh travels offers the most comfort cabs with highly experienced drivers. If you go for a long trip book the best car rental in Bangalore for outstation and experience the best service than any other cab services in Bangalore. At Sandesh travels we understand the consequence of reliability, with our clean and well-maintained outstation cabs with experienced cab drivers we promise to deliver a punctual, dependable and welcoming experience every time. we offer 24 hrs outstation cab services in Bangalore.you can get the outstation cabs at affordable prices. Our aim is to provide Comfort and convenience cab service for customers. To make planning your vacation easier, you can book a cab with ease on our website, or call if you would like to discuss your journey with our team in detail. Sandesh travels is highly recognized in the field of car hire services for outstation in Bangalore. A lot of clients from outside Karnataka also utilizing our services. The range of cars we have for Outstation Car for Hire in Bangalore is good enough to serve the kind of inquiry we are generating now. 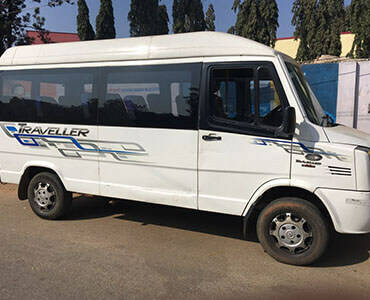 We have our company started small, but the company has grown as an unexpected level attributed to the hard work and dedication gone in from the entire workers and we are here to stay for many years to come will be suggested for best car hire for Outstation in Bangalore. 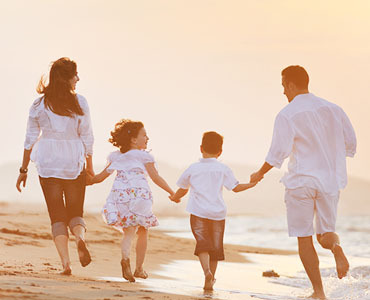 We always happy to help you on 24 hours a day, 7 days a week and allow us to help you find, that perfect dream holiday for you and your loved ones. we look forward to welcoming you to the Sandesh Tours and Travels holiday experience.